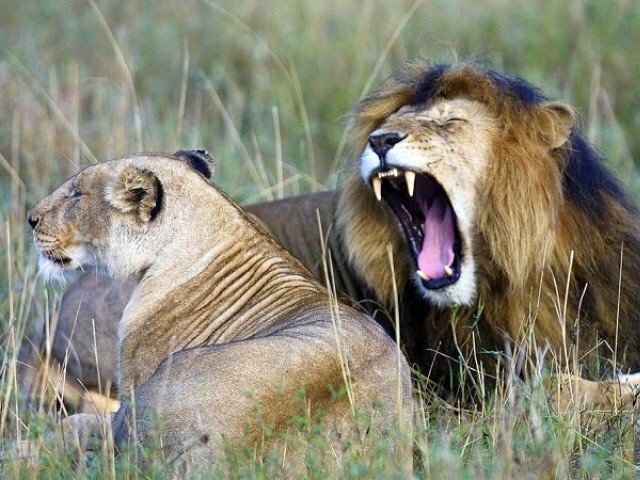 JOHANNESBURG: A suspected poacher was mauled to death and eaten by a pack of lions close to the Kruger National Park in South Africa, police said Monday, adding that little was left of the victim’s body. “It seems the victim was poaching in the game park when he was attacked and killed by lions. They ate his body, nearly all of it, and just left his head and some remains,” Limpopo police spokesman Moatshe Ngoepe told AFP. A loaded hunting rifle was found near the body on Saturday morning. Police are trying to establish the victim’s identity.